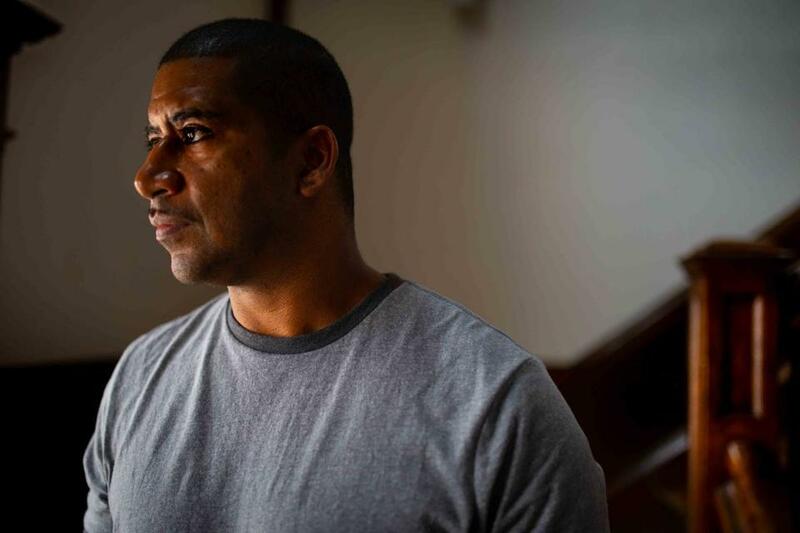 Paul Cumby sued the city of Springfield after he was attacked in 2015. More than three years ago, Paul Cumby went to a popular Springfield bar with his cousins and their friend and left with a broken leg, dislocated ankle, and four loose teeth after the group was allegedly attacked by a gathering of off-duty city police officers. On Thursday, the state attorney general’s office filed criminal charges against Springfield Officer Jose R. Diaz, 54, for his alleged role in the April 8, 2015, beating. The case has already cost the city $885,000 to settle federal civil rights suits brought by the men, who are black. Diaz, a 21-year veteran of the force, is the first officer to face criminal charges in the incident outside Nathan Bill’s Bar & Restaurant, though civil litigation filed in the case accused at least six off-duty Springfield officers of participating in the attack. Last month, a federal grand jury indicted Springfield police Officer Gregg A. Bigda and his former colleague, Steven M. Vigneault, on charges of using unreasonable force while arresting two Latino boys in February 2016. They have pleaded not guilty. In April 2018, the city announced the US Department of Justice’s civil rights division was investigating whether the department’s narcotics unit routinely used excessive force and violated people’s civil rights. A complaint filed in Springfield District Court alleges Diaz kicked Cumby, a lawn sprinkler installer, during the fracas that involved “multiple assailants,” many of whom were off-duty Springfield officers. He faces charges of assault and battery with a dangerous weapon for allegedly attacking Cumby’s cousins, Jozelle Ligon and Jackie Ligon, though prosecutors didn’t reveal the weapon Diaz purportedly used. He is charged with assault and battery for allegedly attacking Michael Cintron, a friend of Cumby’s cousins, court records show. Cumby has permanent head and leg injuries, court records show. Diaz was arraigned on the nine-count complaint Thursday, pleaded not guilty, and was released on personal recognizance. “Officer Diaz maintains his innocence and looks forward to an aggressive defense in court,” his lawyer, Jeremy Powers, said Friday. A spokeswoman for Attorney General Maura Healey said the charges are part of an ongoing criminal investigation being conducted with the FBI and declined to comment further. Ryan Walsh, a Springfield Police Department spokesman, said Diaz was suspended without pay for five days. Once his suspension is over, Diaz will be placed on paid administrative leave and must turn in his equipment and stay away from police headquarters, he said. City payroll records show Diaz has been paid $72,102 so far this year. A pretrial hearing is set for Feb. 8. Police Commissioner John Barbieri is implementing reforms, he said. “Whether on-duty or off-duty our police officers must wear their badge not only with courage, but just as important with honor, integrity and professionalism,” Sarno said. In September, the city announced it had agreed to pay Cumby $750,000 to settle the federal lawsuit he brought against Springfield, its police force, and some of its officers and supervisors. The city settled with his cousins and Cintron, who filed suit separately, for $135,000. At the time of the settlement, Walsh said the agreement wasn’t an admission of liability and couldn’t be introduced in court. The incident began while Cumby was drinking with his cousins and Cintron at the bar on Island Pond Road. Jozelle Ligon whistled to the bartender to get her attention. But Daniel Billingsley, an off-duty Springfield police officer at the bar with colleagues, thought Ligon was cat-calling his girlfriend, another off-duty officer, according to Cumby’s lawsuit. Ligon said he offered to buy Billingsley a drink to clear the air, but he refused. “We’re police officers, we have a tab, and we don’t want your drinks,” Billingsley told them, according to the lawsuits by Cumby and his cousins. Later, words were exchanged outside. Cumby said he tried to defuse the situation, but when he turned his back to Billingsley, he was struck from behind and knocked out. In July 2015, Cumby met with Springfield police investigators, who asked Cumby to identify the attackers and presented him with more than 2,600 photographs to consider, including one of Billingsley among 658 photos of Springfield officers. The same thing occurred when Cumby’s cousins met with investigators. The men couldn’t conclusively identify their attackers from the vast photo array. In February 2017, Hampden District Attorney Anthony Gulluni declined to press charges because no one could positively identify an assailant. A lawyer for the Ligon brothers and Cintron didn’t respond to requests for comment Friday afternoon.